On the 31 October 1976 a group of not at all completely normal people met at a flat in Hamburg. They felt very strongly about a cause and they had great plans on what to do about it. Or perhaps they just wanted an evening of good fun. There cause was how to protect Donald Duck against commercial exploitation, scandalism and vandalism, and furthermore to organize and endorse studies of the life in Duckburg. For this pious purpose they founded the organization D.O.N.A.L.D. (Deutsche Organisation der Nichtkommerziellen Anhänger des Lauteren Donaldismus). One of these not quite normal people was Hans von Storch, at that time a 27-year old mathematician and meteorologist from the University of Hamburg. In the following years, he played an extremely essential role in German Donaldism, as one of the absolutely leading figures of D.O.N.A.L.D. and as editor of the (at least among Donaldists) highly recognized journal Der Hamburger Donaldist in the period 1976-1985, a predecessor to the present journal Der Donaldist. Besides all his administrative accomplishments, von Storch also has set an exemplary scholarly example with his remarkable studies of life in Duckburg, which has not only served as valuable models for future generations of Donaldists, but also on more than one occasion caught the attention of the - otherwise often rather ignorant - non-Donaldistic media. 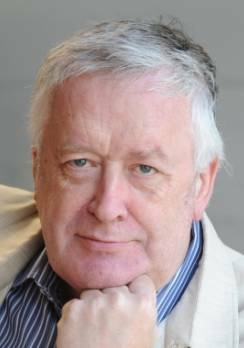 Among his long lists of Academic-Donaldistic articles we can name Wo liegt Entenhausen (1977), Klima in Entenhausen (1978) and Sexualität in Entenhausen (1982), now all classics and basic ground works in the school of Donaldism. Amazingly enough, simultaneous with his energetic Donaldistic career, Dr. Hans von Storch also has been able to attend to his meteorological hobby, which has led to a professorship at the University of Hamburg and a position as one of the worlds leading experts on climate changes. An expertise, which undoubtedly has its roots in his early studies of the climate in Duckburg. It is difficult to exaggerate the importance of Hans von Storch for German Donaldism, which during his inspirational guidance took over the undisputed role as the school’s leading centre after Norwegian Donaldism had led the way in the early 1970s. Academic Donaldism, as it is practised today at the Southnordic Aademy of Donaldim, is deeply obliged to both of these pioneering centres of Donaldistic learning, and thus also to its greatest masters, even among whom Hans von Storch stands out. 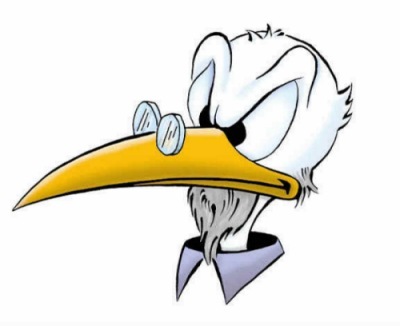 The presently on-going conference in Copenhagen on Duckburg Climatology seems a proper opportunity to pay him a long-due tribute. 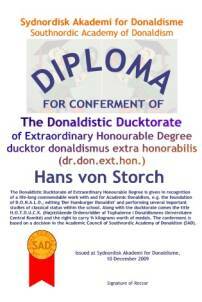 Therefore, the Academic Council of the Southnordic Academy of Donaldism has decided to confer Professor Dr. Hans von Storch with the Donaldistic Ducktorate of Extraordinary Honourable Degree, ducktor donaldismus extra honorabilis (dr.don.ext.hon. ), along with the title H.O.T.D.U.C.K. (Højststående Ordensridder af Tophalerne i Donaldismens Universitære Central Komité [:High-ranking Knight of the Order of Toptails in the Universitary Committee of Donaldism]) and the right to carry ¾ kilograms worth of medals. A letter of notification of the ducktoral conferment together with a physical evidence of it has been sent to the GKSS Researcfh Centre in Geesthacht, where it is the hope of the Academy’s Academic Council that it will be received in the same spirit, in which it has been given, and that Dr. von Storch will be able to find room for the diploma on his office wall - or perhaps in his Danish summer house in Rødvig. Jensen, Pål, Uwe Schröder & Hans von Storch (1977): “Wo liegt Entenhausen”, in: Der Hamburger Donaldist vol. 4, 19-20. Referred to by J. Gjøgsig in “Klima i Andeby - og Stella anatium”, Sydnordisk Akademi for Donaldisme 2006.
von Storch, Hans (1978): “Klima in Entenhausen - Physikalische Grundlagen”, in: Der Hamburger Donaldist vol. 13, 10-13. Referred to by J. Gjøgsig in “Wind and Weather in Duckburg - Climate observations from Stella anatium”, Duckburg Climate Conference in Copenhagen 2009.
von Storch, Hans & Elke Imberger (1982): “Sexualität in Entenhausen”, in: Sexualpädagogik und Familienplannung 1982 vol. 2, 24-26; also in: Der Hamburger Donaldist vol. 37 (1982), 15-17. Translated to Danish by J. Gjøgsig in “Sexualitet i Andeby - en donaldistisk-sexologisk syntese”, Sydnordisk Akademi for Donaldisme 2005. Sydnordisk Akademi for Donaldisme henleder opmærksomheden på, at rettighederne til (næsten) alle de anvendte billeder på Akademiets sider tilhører ©Disney, der i Danmark er repræsenteret ved Egmont Serieforlaget A/S. Fotografiet af Hans von Storch tilhører dog Universität Hamburg og GKSS Forschungszentrum, D.O.N.A.L.D.s logo og tegningen af en Storch tilhører D.O.N.A.L.D, mens billedet af Dr. von Storchs ducktordiplom tilhører SAD. Uanset hvad og hvem, må billedmaterialet ikke anvendes i erhvervsmæssigt øjemed.